Renner has plenty of potential and I'm excited to see what the future holds for him and North Carolina's offense now that Larry Fedora is running things. Bryn Renner, QB, North Carolina: Renner is a quality QB but in his first year as a starter he wasn’t able to win the bowl game this year. However, he returns a lot of talent next year as a junior in Giovanni Bernard, Erik Highsmith (who was his real go-to guy today) and Jheranie Boyd. 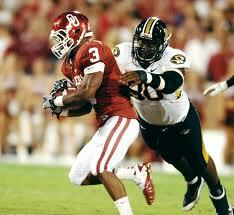 Additionally he will have an experienced offensive line blocking for him. He made some significant strides this year and finished with the 2nd most passing yards in North Carolina history thanks in part to the weapons he had at his disposal on offense (Dwight Jones most notably) and to Bernard establishing a running game. There’s plenty of upside there and you have to be excited by the hire of Larry Fedora who will hopefully aid Renner’s development like he did with Austin Davis. Renner has above average arm strength, solid accuracy and he’s more athletic than most realize. However, he spent too much time dropping his eyes to look at the rush and was left scrambling on 3rd and long situations too much that led to punts. That’s not all on him since he didn’t always have much to do with the negative plays that led to the 3rd and long situations, but it does provide evidence that he needs to develop as a quarterback. Not sure he will ever be a great NFL prospect, but he’s got the ability to be a quality college and NFL quarterback if he is developed correctly. Giovanni Bernard, RB, North Carolina: Bernard is a special running back and I think he is going to end up going in the first round eventually. He started slow in this game but he showed his potential when he was had some room to run. He’s surprisingly patient for a freshman running back, he has impressive burst, good speed, catches the ball well out of the backfield, has impressive shiftiness as a runner and can run through arm tackles effectively. He’s got a boatload of upside and if Renner stays through his senior season then he could help fuel a very intriguing offensive unit for the Tar Heels. Ryan Houston, RB, North Carolina: I didn’t see him get a single carry in this game which really is a shame. He was a senior in his final game, and makes me wonder if he was becoming a problem child in the locker room or if he wasn’t keeping his weight in check. Earlier in the year he looked much lighter and effective but didn’t warrant much if any work in this game. I’m hoping he gets an invite to some kind of All-Star Game so he can show what he can do because I think he warrants at least UDFA consideration. Will he be drafted? Honestly, probably not. But I still think he can contribute. Here’s hoping he gets his shot to do just that. Dwight Jones has plenty of upside thanks to his size and athleticism but his hands are inconsistent and I don't think he has the potential to be a #1 target in the NFL. Dwight Jones, WR, North Carolina: Dwight Jones started out with an impressive touchdown catch as well as a couple other receptions but he really struggled to catch the ball after that as he had at least three drops that I counted. When it comes down to it his hands just aren’t that good. He body catches regularly and doesn’t make very many tough catches away from his body which limits his range as a receiver and means whoever is throwing him the ball has to make a stick throw right on his body or he isn’t as likely to catch it. He can threaten teams deep and has an impressive combination of size and speed but his hands just aren’t what you would expect them to be. He has upside without a doubt but I don’t think he has the makings of a #1 receiver in the NFL at all. I don’t think he is a leader that can be counted upon for a big catch when you need a 3rd down conversion or a critical touchdown, nor do I think he had the right attitude when the Tar Heels were losing this game in the 1st half and again in the 2nd half. I don’t really think it’s a coincidence that he was not targeted after dropping a number of passes and had nothing to do with their most successful scoring drives after his initial touchdown reception. Jones is a quality NFL prospect with upside but there is no way I would put a first round grade on him. Like I thought earlier in the year I still have a 2nd-3rd round grade on him and I don’t think he will be a #1 receiver in the NFL, though I do think if he landed in the right situation he could be a quality #2. Erik Highsmith, WR, North Carolina: I am convinced that Highsmith has the best hands of any receiver on the Tar Heels this year. He made a number of catches in traffic and made catches to convert 3rd downs when the team needed it the most. He did a good job catching passes away from his body, making catches despite contact and moving the chains for the Heels. He even got vertical once or twice but the passes were underthrown from Renner (evidence of less than ideal arm strength) and he couldn’t come down with them. Highsmith will be back for his senior season and with quality size at 6’3” (he only weighs 190 pounds according to the listing I found, but he’s been adding weight every year) as well as 49 receptions, 726 yards and 5 TD’s after the bowl game today. He should be Renner’s go-to receiver next year when he needs to move the chains and in the red zone especially. Jheranie Boyd, WR, North Carolina: Boyd may not have great hands, much like Jones, as he body catches frequently and I’m not convinced he has the range to make catches outside of his body like Highsmith does but boy can he stretch a defense vertically. He has impressive speed to get downfield despite a surprising listed 40 yard dash time of 4.52. He looks a LOT faster than that on the field, and I have a feeling that that time is not accurate. Regardless, he stretched the defense vertically very effectively today and finished with three receptions for 95 yards and a 44 yard touchdown. That gives him 14 receptions, 292 yards and 5 touchdowns on the season. That may not be an impressive stat line, but keep in mind that the Tar Heels offense was pretty balanced this year with its first 1,000 yard rusher in over a decade in Bernard and well over half of Renner’s passing yards were accounted for by Jones and Highsmith. Boyd’s role should increase next year as long as he can continue to haul passes in, avoid drops, and stretch defenses vertically. Jon Cooper will be one of the top three senior offensive guards in the country next year so keep an eye on him. Jonathan Cooper, OG, North Carolina: Cooper is a quality guard prospect and should be one of the top three senior offensive guards in the nation next year especially if David DeCastro of Stanford elects to declare for the 2012 NFL Draft. Cooper has quality size at 6’3”, 310 pounds but moves very well for his size as evidenced by how well he gets to the second level and by how well he pulls. I haven’t been able to evaluate him as much in one on one situations when trying to drive block, but he is definitely the Heels’ best offensive lineman. Look out for him next year! Travis Bond, OG, North Carolina: I wasn’t able to see much of Bond today but he is the “other” offensive guard prospect on the Tar Heels. He’s much larger than Cooper as he stands at 6’6”, 340 pounds and is less mobile than the nimble Cooper. His size helps and hurts because he is the size of an offensive tackle but is inside at guard which can create issues against smaller defensive tackles that can gain automatic leverage because of his height. I’ll make sure to watch him more next year since it wasn’t much of a priority since I was confident that he wasn’t going to declare, but keep an eye on him since he will be in the 3rd-4th round mix next year. Quentin Coples, DE, North Carolina: Coples may be the most well-known prospect on the Tar Heels and for good reason. He’s a talented player with a great combination of size, athleticism and strength. He has very strong hands which he uses to help him shed blocks and keep blockers off of him. He is listed at 6’6”, 285 pounds with a 4.76 40 yard dash time. His edge speed isn’t great and I think that is going to prevent him from being an impact 10+ sack player in the NFL, but I do think he will be a quality 4-3 LE if he is drafted. That makes me think he won’t be a top 10 pick like a lot of people thought he would be coming into the season, but I could see him as a top 20 overall selection because a 4-3 that can stop the run and rush the passer is a pretty rare find. Coples has shown he can do that and that he has a quality motor, though I don’t think his football IQ and recognition skills are very impressive. The Heels gave up a staggering number of rushing yards today, but the defensive tackles were more to blame for that than Coples was in my opinion. Coples played a role in it, but I don’t think that it was necessarily indicative of his run defense as an individual. I would be very surprised if he dropped out of the 1st round after a less than stellar senior season but I don’t think he should go in the top 10 at this point. Donte Paige-Moss underwhelmed just about everyone this year as many expected him to declare after this season and go in the 1st or 2nd round. Donte Paige-Moss, DE, North Carolina: Paige-Moss was widely considered a possible early declaration and a potential 1st round draft pick before the season began (despite some claims that he was overrated from a select few, you know who you are) but he had a minimal impact all season and was replaced by Kareem Martin opposite Coples for the entire season. Paige-Moss is a freak athlete but his technique is almost non-existent and his only success occurs when he can beat the offensive tackle off the edge using his impressive athleticism to run around the edge for the sack. He’s got a lot of upside still, but without getting stronger and learning some semblance of hand usage he won’t ever live up to his potential. One slight sign of hope is that Paige-Moss made a great effort pursuing downfield and from the backside today which was encouraging to see when many Tar Heel defenders seemed to be going through the motions. This offseason will be crucial for him because if he hits the weight room and works on his hand usage then he might be able to redeem himself. It’s all up to him and what level of work he is willing to put in. I’m not saying he is going to prove his doubters wrong, of which I am one of them based on his performance this year, but I can’t rule it out. Tydreke Powell, DT, North Carolina: Tydreke Powell is a solid NFL Draft prospect and he will likely be at the Senior Bowl in Alabama (hopefully I will be as well) but he played poorly today. His upside as a pass rusher is limited and I don’t think he will be a significant pass rusher in the NFL by any means, but if he is going to be able to be a 2-down nose tackle in a 4-3 or a 3-4 he is going to have to hold up against the run well and he was struggling in that aspect today. He was able to penetrate on occasion, but he was not maintaining his gap responsibility at all and that led to gaping holes for Missouri up the middle for Franklin, Lawrence and Moore to run through. It was pathetic to be honest, and Powell is the nose tackle that is usually double teamed and frankly he wasn’t doing his job. This game isn’t a 100% accurate reflection of his ability but it definitely hurts his stock in my eyes. His value is going to be as an occasional penetrator but primarily being able to stand up effectively versus double teams and not get washed out. He didn’t do a good job of that today and that hurts his stock going into the All-Star game portion of the year. Sylvester Williams has a ton of potential and should be back for his senior season. He's very raw and is still early on in his development as a defensive tackle, but with quality coaching he could be a stud. Sylvester Williams, DT, North Carolina: Williams was the other starting defensive tackle for the Heels today and while I love his upside as a prospect he also struggled to stop the run today against Missouri. He was mostly facing double teams but he was pushed off the ball more than I would like and struggled to get off blocks at times. He’s a very raw player as he barely played football in high school and played at a junior college before transferring to the Tar Heels. He’s got a ton of upside but he is still developing, so it shouldn’t be surprising that he hasn’t developed the technique necessary to be a dominant defensive tackle. He definitely has that upside and has definitely flashed his upside by penetrating and disrupting plays in the backfield. The next step is to get stronger, develop his hand usage and learn to stand up better versus one on one blocks to avoid getting washed out. He definitely contributed to the problems today but because he isn’t often lined up at nose tackle he isn’t always the key cog to holding up the offensive linemen at the point of attack. He is asked to win one on one match-ups more often than not, Powell is usually the guy that is expected to occupy the double team and keep the linebackers clean. Neither happened today and that was what led to a lot of running lanes up the middle for Missouri. Reddick is a quality middle linebacker and while he is a better tackler than Zach Brown he still tackles too high at times. 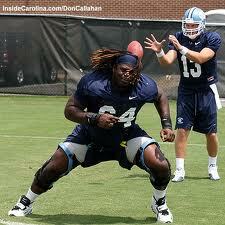 Kevin Reddick, ILB, North Carolina: Reddick is a quality linebacker that should come back for his senior season. He’s a junior so he is draft eligible but I think that even though there may be sanctions and a transition from Butch Davis’ regime to Larry Fedora’s it would be good for him as a prospect if he returned. Hopefully Fedora finds a defensive coordinator that likes to attack because the Heels defense is ferocious when it can dictate games with its athleticism and pass rush. That said, Reddick is a solid NFL Draft prospect himself and I think he is a more fundamentally sound football player than his teammate Zach Brown. He’s a better tackler than Brown (even though he attempts more arm tackles and tackles high more than I would like) and at 6’3”, 240 with a listed 40 time of 4.67 he isn’t a slouch when it comes to combinations of size and athletic ability. He missed a tackle or two today as well and isn’t necessarily the impact player that Brown is at times, but he is more reliable in my opinion. It will be interesting to see if he comes back or not but I think it makes sense for him to return. He isn’t an elite prospect and even if he comes back next year I wouldn’t expect him to go much higher than the 3rd round. Charles Brown, CB, North Carolina: Brown is another undersized, primarily zone corner that the Tar Heels have produced but I don’t think he is as good as Burney was at the position. Brown is a solid tackler and is decent against the run but his only value is in zone coverage and even in that aspect he is not much more than above average. He can close on plays in front of him but his ball skills are less than stellar and his ability in man coverage is limited by his lack of size, speed and ball skills. He will be a late round pick if he is drafted at all, and if he is drafted when Burney went undrafted it would be a pity. Burney was always the better corner in my mind. James Franklin has definitely progressed since the beginning of the season and that is encouraging. 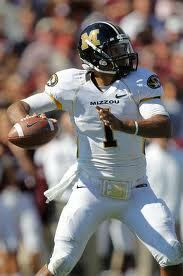 He threw 8 of his 11 total interceptions in three games, so it will be interesting to see how he does in the SEC. James Franklin, QB, Missouri: Franklin had a terrific first half but demonstrated some of his inconsistencies by struggling at times in the second half. Some of that was the playcalling taking the foot off the gas to some extent, but he was not making the same impressive stick throws he was in the first half. He was very productive thanks to his rushing total but his passing wasn’t as impressive nor was his decision making. He’s got upside due to his size, arm strength and developing accuracy as well as his athleticism to pick up yardage with his legs. He’s improved since the beginning of the season in my opinion, and that’s all you can ask for from a young quarterback. It will be interesting to see what strides he can take next season as a junior against tougher defenses in the SEC. L’Damian Washington, WR, Missouri: L’Damian Washington is definitely a WR to keep an eye on. For one he is a great story even beyond football thanks to all he and his family have been through which makes it even more fun to see him having success on the football field. On top of that, he’s a 6’4″, 185 pound receiver that increased his production from 5 receptions for 35 yards and 0 TD’s as a freshman to 20 receptions, 364 yards (leading to a team-leading 18.20 yards per reception average) and 3 touchdowns. Those numbers are sure to increase over the next two years as he and James Franklin continue to develop together. He demonstrated reliable hands against North Carolina and has intriguing upside because of his size, athleticism, body control and hands. Keep an eye on this kid, I know I’m rooting for him. Wes Kemp, WR, Missouri: Kemp is a senior wide receiver on Missouri that will probably not end up getting drafted however he has a pretty impressive combination of size and athleticism as he stands at 6’4″, 220 pounds and has a listed 40 yard dash time of 4.47. I don’t think he’s much of a sleeper and at best will be a 7th round pick barring a significant stock jump thanks to an All-Star game or an impressive performance at the combine. This is largely due to his inconsistent hands that led to some drops when I watched him last year against Blaine Gabbert and his production did not elevate as a senior. He will intrigue some teams because of his physical attributes, but at best I see him improving his hands and developing into a solid #4 or #5 receiver in the NFL, and that is assuming he makes a roster. But don’t be surprised if teams give him a shot because you can’t find 6’4″, 220 pound receivers that run a 4.5 or faster everywhere. Moe isn't the biggest or the fastest player in Missouri, but he may be the most reliable and while it isn't flashy it certainly counts for something. T.J. Moe, WR, Missouri: Moe is a pretty underrated receiver that has solid NFL upside. He’s not the biggest, the fastest or the most explosive but he was Gabbert’s most reliable target last year and I don’t think that has changed with Franklin throwing him the ball. Moe had 54 receptions, 649 yards and 4 touchdowns receiving this year and also contributed 61 yards rushing, 47 yards on punt returns and a solid 607 yards with a 23.35 yards per return on kick-offs. He is listed at 5’11”, 195 pounds with a listed 40 yard dash time of 4.49 and none of that blows you away, but he is as reliable as they come and should have a good senior season next year. I’m not sure he will be more than a 4th round pick because I’m not sure he has a lot of upside since what you see is what you get with him: a receiver that doesn’t have great size or great speed but has very reliable hands and will make plays for you when you really need it. He won’t be at the top of everyone’s list but he will be one of those guys that goes a little lower than he probably should but then surprises everyone in training camp when he catches everything and becomes a favorite of the coaching staff. Does this look familiar? If you watched the Saints beat the Falcons on Monday Night Football you saw Jimmy Graham catch a very similar touchdown against a quality corner Brent Grimes. Egnew has similar potential. Michael Egnew, TE, Missouri: Egnew may be the most underrated tight end in the country right now. He’s got great size at 6’6”, 245 pounds and a very impressive listed 40 yard dash time of 4.6 flat. He is definitely an impressive athletic specimen and when you combine that with his very reliable hands you have a very intriguing tight end on your hands. His closest comparison may be Jimmy Graham to his combination of great size, athleticism and very reliable hands (though Graham does drop passes from time to time). However, Egnew is often split out as a receiver and rarely lines up and blocks as an inline tight end which will be one of the major things he has to work on. His blocking has not been demonstrated like the other top draft eligible tight ends and that will make teams that run the ball a lot with an inline tight end blocking wonder if he will be a good fit in their scheme. Additionally he is rarely jammed off the line of scrimmage allowing for an easy release which won’t continue in the NFL. Despite this both his blocking and defeating jams off the line of scrimmage can be coached and that makes me think that if he is picked anywhere outside of the top 50 that he may be one of the better values in the draft. Dan Hoch, OT, Missouri: Hoch is a guy that I thought might be able to slide over to LT at some point when I was scouting Blaine Gabbert last year. That never really materialized but I think he may have draftable ability as an offensive tackle prospect. 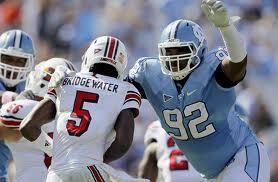 He doesn’t have very good athleticism but he has great size at 6’6”, 320 pounds as well as quality length. If he is drafted it will be as a late round pick in the 6th or 7th round but the more likely scenario may be signing with a team as an undrafted free agent and attempting to make a roster that way. Jacquies Smith, DE, Missouri: I honestly didn’t see much of Smith today and that might be a pretty accurate reflection of the impact he had this year. It’s pretty clear to me that Aldon Smith created the havoc as a pass rusher for Missouri last year and that Jacquies Smith was more of a secondary pass rush option that benefited from his presence opposite him. Without Aldon Smith around Jacquies Smith’s numbers dropped slightly from 10.0 TFL’s and 5.5 sacks to 8.0 TFL’s and 5.0 sacks. Now, that isn’t a huge drop, but with or without Aldon Smith it demonstrates that Jacquies Smith isn’t an impact pass rusher and that hurts his stock. However, he does have the build and some athletic ability to offer possible upside thanks to his 6’3”, 255 pound frame and his listed 40 yard dash time of 4.62. He’s got upside due to his athleticism but his production has been less than impressive. I still need to watch him more to determine exactly why, but I would be surprised if he went before the 4th round when players with measurables but limited production tend to start coming off the board. Hamilton may not be a stud DT prospect but he definitely has draftable ability as a 4-3 NT and I think he may go as high as the 5th round. Dominique Hamilton, DT, Missouri: Hamilton seemed to have a pretty good game today as Missouri bottled up a very good running back in Giovanni Bernard early and often despite the occasional quality run. Hamilton may not be a household name at defensive tackle and honestly I haven’t scouted him specifically at this time, but at 6’5”, 305 pounds he definitely has the size to play NT in the NFL either as a 4-3 NT or as a 3-4 NT depending on whether he can add weight to that frame. I’d be surprised if he couldn’t to be honest, and judging by the issues UNC had running up the middle I’d say Hamilton can create some problems by occupying blockers in the middle. It sure would have been interesting to see if Hamilton could have made the same impact for the Tar Heels at nose tackle today, but that is neither here nor there. 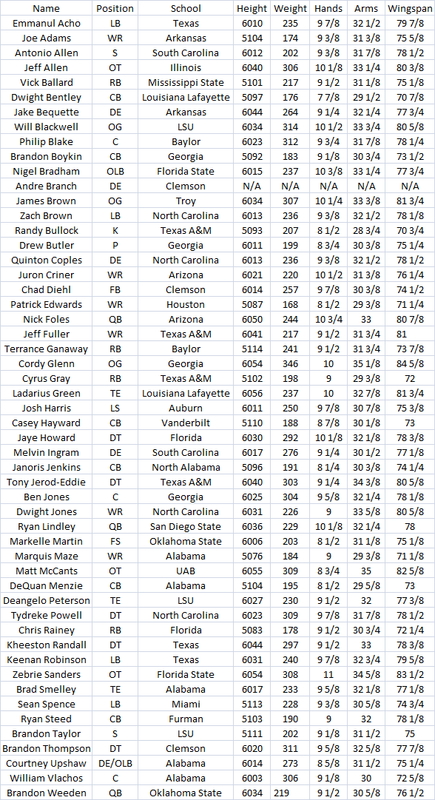 Right now I don’t have a great fix on Hamilton’s ability but there are a number of quality nose tackle prospects popping up in this 2012 class so don’t be surprised if you see a number of defensive tackles drafted this year. There may not be a lot of elite talent but it seems to be shaping up to have some depth to it. Zaviar Gooden, OLB, Missouri: Gooden is a junior linebacker for Missouri who flashed some potential today and made a very impressive interception on a ball that rolled on Dwight Jones’ back that he managed to corral before it hit the ground. He’s definitely on the draft radar for next year and hopefully he goes back to school to continue to improve. He’s 6’2”, 230 pounds and has a listed 40 yard dash time of 4.67. He’s not a freak athlete as far as size or athleticism is concerned, but he was pretty productive this year with 80 total tackles (54 solo), 6.0 TFL, 1.0 sack, 4 pass break-ups, 2 interceptions and one blocked kick. It will be interesting to see how he does next year in the SEC against potentially tougher competition. Thanks for stopping by and thanks for reading! More prospect recaps are on the way as bowl season heats up!